Oh and just in case you were wondering, Vaporeon is the Beyoncé of the Eeveelutions. BREAKING: Blue Ivy's plus one just single handedly reignited everyone's obsession with Pokémon Go. 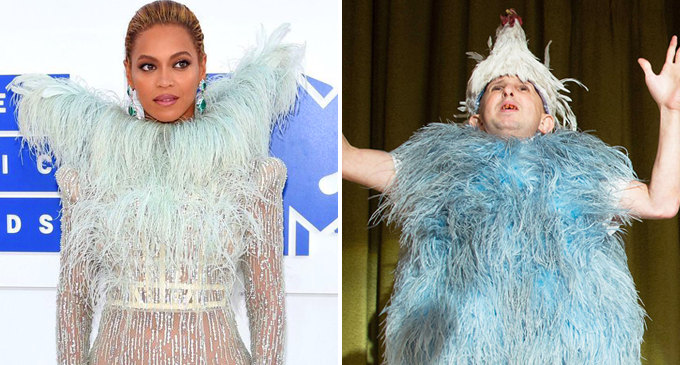 She rolled up to the MTV VMAs on Sunday night (Aug 28) as wearing Francesco Scognamiglio (nope, that's not a made up name) serving you frozen Big Bird realness from head to TOE, honey! The look has divided nations, destroyed historic monuments and set cities on fire. Mother of Blue has left the entire world SHOOK. But what is a show stopping red carpet lewk without inspiration from her many muses. 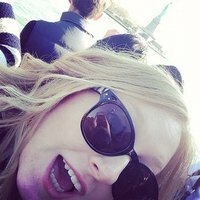 Let's investigate. Stylist: So what vibe you going for tonight Beyoncé? Beyonce: You know about those lil' Pokémon things? Stylist: So what vibe you going for tonight Bey? Beyonce: You remember those furry talking birds? Beyonce: You ever seen 'Once Upon A Time'? Stylist: So what vibe you going for tonight Mrs Carter? 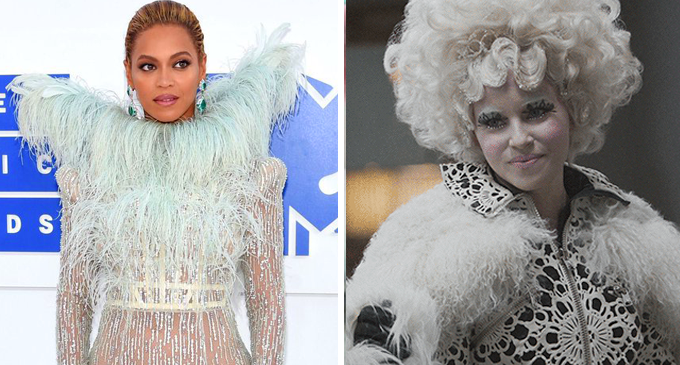 Beyonce: You know those Narnia books? Stylist: So what vibe you going for tonight Mother of Blue? Beyonce: You ever heard of 'The Hungry Games'? Stylist: So what vibe you going for tonight Queen? Beyonce: You remember that legendary blue bird from the Pokémon game? Stylist: So what vibe you going for tonight Sis? Beyonce: You ever seen 'American Horror Story: Freak Show'? Stylist: So what vibe you going for tonight Daughter of Tina? Beyonce: You ever watch that show 'The Muppets'? Stylist: So what vibe you going for tonight Hive Master? 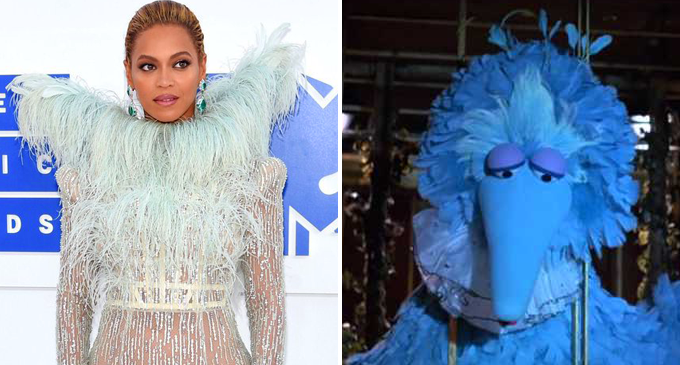 Beyonce: No, forget The Muppets - you remember when Big Bird had his blue emo phase?? Stylist: So what vibe you going for tonight Yoncé? Beyonce: You know that breathtaking waterfall that is considered one of the Wonders of the World? Stylist: So what vibe you going for tonight Sasha Fierce? 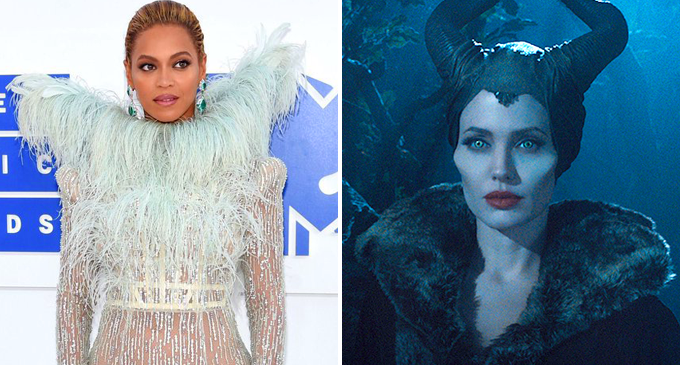 Beyonce: You know Maleficent? I wanna leave her SHOOK. VOTE: Who Should Win Best Rock Video At The MTV VMAs? !